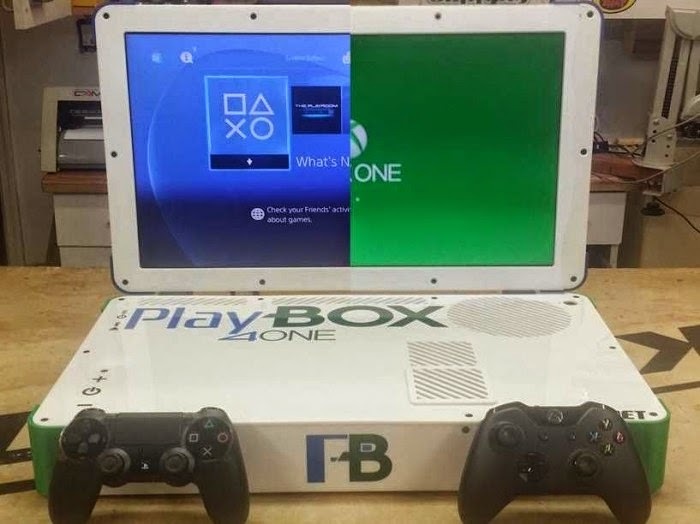 The PlayBox is the latest custom project from Ed Zarick, a hacker-maker who builds custom prototypes for game enthusiasts. In the past, Zarick has modified both the PS4 and Xbox One, turning each into their own laptop and even combining the Xbox 360 and Xbox One into a single package called the Xbox Duo. While the PlayBox is technically a laptop, it’s huge even when compared to other gaming laptops. You also need to keep it plugged in, so unless you’re near an outlet, you won’t be using this beast on your next road trip.